Now in its eight consecutive year, the Venus awards seek to recognise and celebrate the achievements and vital contributions of inspirational women across Dorset. 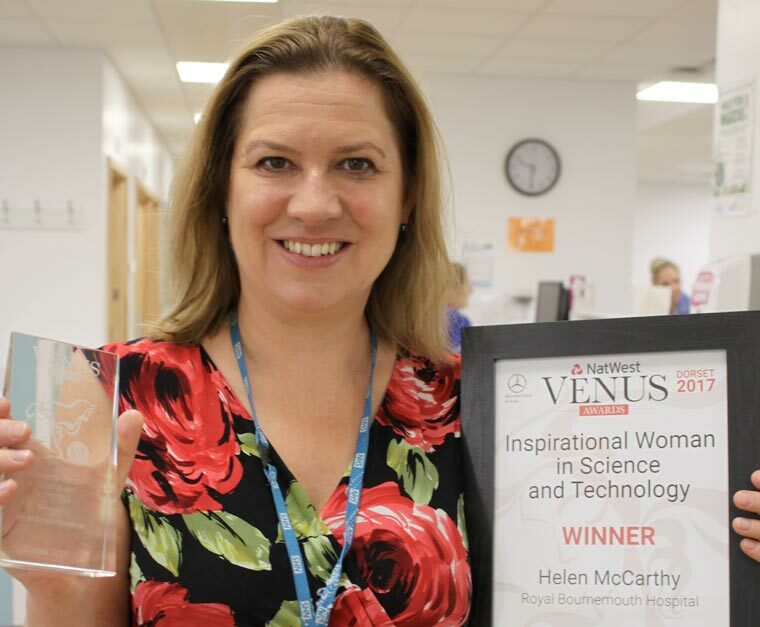 Dr Helen McCarthy was awarded for her dedication to science. She leads a team of scientific and clinical researchers committed to innovative research, with the aim of improving survival rates and the quality of life of patients with blood cancers. In addition to this, her clinical work and being a mother, Helen is also a trustee for a national charity for patients with Waldenstrom’s Macroglobulinemia, a rare type of cancer, and was instrumental in fundraising for the new Orchard Therapy Garden at the RBH. Helen said, “I am delighted to win this award and it is wonderful to receive recognition for the work I have been involved with. I’d also like to acknowledge and impart my thanks to the research team that I work alongside. We are very passionate about bringing state-of-the-art cancer treatment to Dorset patients through innovative laboratory and clinical research.